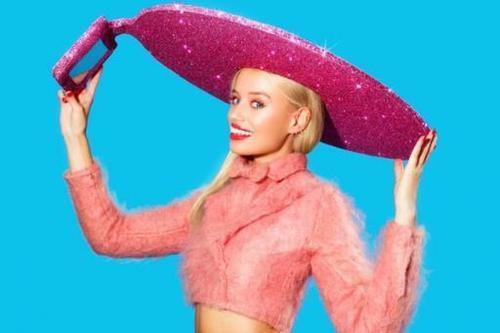 There are undoubtedly a lot of bad looks spotted at Fashion Week and perhaps the worst one spotted at this year's London Fashion Week was this attrocious "Selfie Sombrero" by Acer and designer Christian Cowan-Sanluis. It goes without saying that a sombrero is always a fashion "don't," but when you cover one in pink glitter and secure an Acer Iconic A-1 840 to the brim, you're pretty much begging to be tazed and tackled by the fashion police. Granted, taking selfies is all the rage these days, but when you have hair brush selfies that can make you look better and take your picture, there really is no excuse for wearing something so downright ugly and tacky as a sparkly pink sombrero, let alone one with a giant tablet that flips down from the brim. 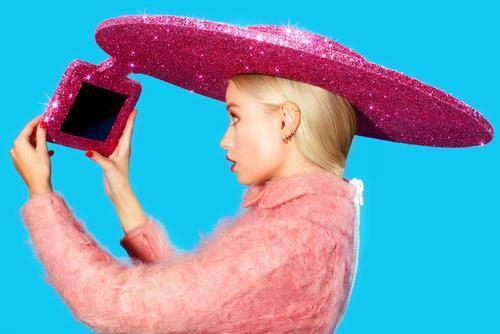 Aside from everything else, even the 360 degree composition options, larger viewing screen and inherant ability to orient light to specific parts of your face, no selfie will look good when your giant pink hat sparkles above your head. And while Fashion Week reporters would certainly take dozens of pictures of you sporting this monstrosity, you can be certain those pics will be featured in this "not" section of their magazines and blogs rather than the "hot" areas. Even if you love the selfies you get from this accessory, remember that those pictures taken by others will always show you wearing this nightmarish headgear.